June 18, 2009, 3:07 p.m.
By Jessica Roy @JessicaKRoy June 18, 2009, 3:07 p.m.
Citizen journalism further came of age this week as regular citizens using tools like Twitter and Facebook out-reported much of the mainstream media, keeping the world riveted with news and photos pouring out of Iran. It seems particularly appropriate, then, that the Knight News Challenge also announced its grant recipients this week. Many of the platforms developed for the Challenge are aimed at helping citizens report and aggregate news content. 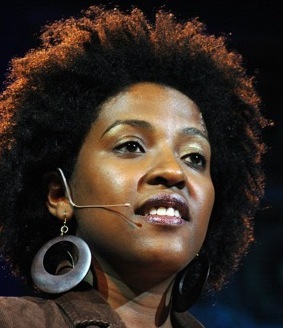 One winner in particular, Ory Okolloh, has cultivated a platform specifically designed to technologically aid citizens in the collection of local news. Her site, Ushahidi — Swahili for “testimony” — seeks to empower people in disenfranchised regions who frequently lack the resources to report on the atrocities occurring in their areas. Billed as a way to “crowdsource crisis information,” the site culls reports from cell phones, email and the internet and, using a Google Maps mashup tool, visually displays them on a map. Ushahidi was originally developed to visually display the crises occurring in post-election Kenya, and the results proved so successful that Okolloh has since extended the project’s reach to other nations, including South Africa, India and the eastern Congo. I spoke with Okolloh over e-mail about Ushahidi, and below is the edited transcript of that interview. Q: What drove you to start Ushahidi? A: The idea of Ushahidi was born out of the post-election violence in Kenya in late 2007, early 2008. I was covering the fallout from the election on my personal blog. My coverage went into over-drive after the government placed a ban on live media reports, and mainstream media was plagued by self-censorship and partisanship. Due to the lack of information and confusion at the time, I asked people to send me reports of what they were witnessing or hearing to my email, my phone or to leave a comment on my blog. I then posted the reports on my blog. After a while I got overwhelmed with the information that was coming to me, it basically was requiring me to be online 24-7 and I was feeling the strain of being transformed suddenly into a “crisis citizen reporter.” At the same time I felt that I was on to something and this led me to the idea of a website where people could send reports of what was happening in their area via a website or via a mobile phone. Because of the power of visualization, the website would be a mashup, where the reports could then be visible on a Google map or some other online mapping system. I came up with the name Ushahidi, which means witness or testimony in Kiswahili. In addition to allowing for citizen reporting, I thought the website could serve as a memorial so that we never forgot how bad things got during the post-election violence. I posted this idea on my blog on January 3, 2008 and asked for Kenyan techies who were interested to help me build the website. Within 24 hours, I had responses from several volunteers, some of whom became part of the core team of Ushahidi. Within three days, the website was up and running. Q: How do you see Ushahidi furthering journalism practices? A: It is important to remember that at the heart of it Ushahidi is merely a tool that empowers individuals and groups to be both producers and consumers of information — not just via the web but also via mobile phones, thereby reaching people who might not have good access to the internet via computers. We think that Ushahidi’s unique ability to crowdsource information from various source i.e. citizens, mainstream media, multimedia and social media will allow not just for citizen reporting but for contextualized and localized reporting. We expect to shift the model of information sharing from top down to bottom up and we want to break down the silos of information that exist between groups working in a particular area. Q: How do you expect to use the grant money awarded to you from the Knight News Challenge? A: The grant money will allow us to fine-tune the platform by testing it with specific groups in Kenya. It will also allow us to see what happens when multiple installations of Ushahidi exist in a particular geographic area over a period of time — what happens when we merge the information together? Do patterns begin to emerge, e.g. links between poverty and crime? Do the groups we are working with begin to get creative about how they are collecting information? Does the platform allow for new information to emerge? Q: How has Ushahidi’s technology been received in the nations where it’s been tested (Kenya, South Africa, etc.)? Has it accrued a large user base? A: It has been received well so far even with limited marketing, which means we didn’t reach as many people as we would have liked. It has accrued a larger user base in terms of groups interested in using us, e.g. Al-Jazeera in Gaza, and groups in Lebanon used us to monitor the recent elections. Our strategy going forward is not to get involved in implementations, with the exception of Kenya, but rather to build a tool that is easy for anyone to use and implement according to their local situations. Q: What do you most wish to accomplish with Ushahidi? A: Building a tool that facilitates both easy and rapid information sharing anywhere in the world, and encouraging people to act on the information that has been shared, particularly in crisis situations. POSTED June 18, 2009, 3:07 p.m.
Roy, Jessica. "Knight News Challenge: Ushahidi crowdsources the truth when reporters aren’t around." Nieman Journalism Lab. Nieman Foundation for Journalism at Harvard, 18 Jun. 2009. Web. 23 Apr. 2019. Roy, Jessica. "Knight News Challenge: Ushahidi crowdsources the truth when reporters aren’t around." Nieman Journalism Lab. Last modified June 18, 2009. Accessed April 23, 2019. https://www.niemanlab.org/2009/06/knight-news-challenge-ushahidi-crowdsources-the-truth-when-reporters-arent-around/.